It has almost four months since LG has launched Optimus G Pro in global markets and it has received tremendous response worldwide. It is a successor to Optimus G and comes with some amazing upgrades. This Smartphone features latest design with 5.5 inch screen and well upgraded hardware. Though there are several smartphones available in the market which have 5.5 inch screen, the LG Optimus G Pro is one of the rarest device which has HD display. Here we have tried to find out whether this unique phone can meet the expectations of users. 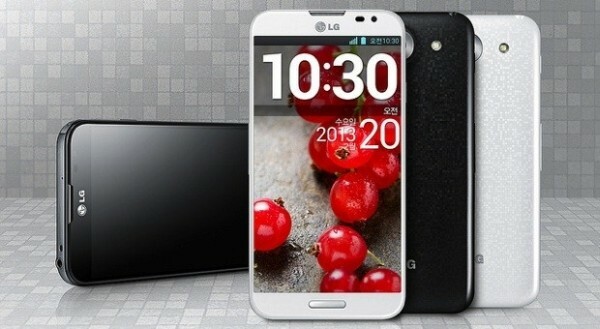 LG Optimus G Pro brags about its IPS Plus LCD screen of 5.5 inches with 1080×1920 pixels resolution. It also features Gorilla Glass 2 protection of Corning, thereby making it highly resistant proof to scratches. The colors in this device appear extremely vibrant along with brightness which is kept at optimum level. The viewing angles in this device are also awesome and users can feel the screen extremely impressive especially in bright sunlight. The build quality of Optimus G Pro appears quite good. Similar to Samsung’s phones, it has got plastic body and feels extremely durable. Though it is nowhere near to the fabulous aluminum body of HTC One, it definitely looks better than Samsung Galaxy S4. All the buttons of this Smartphone are perfectly placed and they are easily accessible through index fingers as well as thumb if user holds it in his right hand. You can also find an additional button at top left side of Optimus G Pro. A user can also assign any app to this button or completely disable it. The company has customized almost every stock app including Music and Gallery thereby adding enhancing functionality of the Smartphone, apart from improving its design. The system settings menus of this device are also extremely pleasant to look. The home screen of Optimus G Pro is available in landscape mode and most of the apps try to utilize it judiciously by providing a preview pane for emails. The Music Player app also provides some extra functionality of offering user a quick access to music library in landscape mode. LG Optimus G Pro features a front facing camera of 1.9 megapixels and rear camera of 13 megapixels. This Smartphone also sports basis camera app of LG which is quite akin to an app that comes with its predecessor. Time catch mode of this device captures shots well before user hits the shutter. Apart from this, the Burst photo mode of this Smartphone captures around 20 pictures in very quick succession when user wants to take some crucial action. The auto mode which we mainly observe in phones of Sony, automatically adjusts settings on the basis of light conditions in order to enable best shot. LG Optimus G Pro is one of the great big screen phones available in the market at present time. Except some minor niggles, the device is perfect combination of quality software features, awesome build and upgraded hardware under its hood.